Jack Sparrow and Brennans bread it is not often you will see these in one sentence, but these are the first things that I can remember from when I was first shown a YouTube clip of the poet John Cummins. 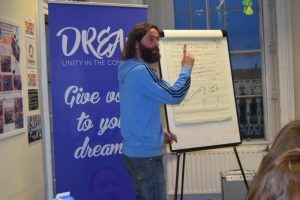 John facilitated our second creative writing workshop at the ATD office on Thursday the 22nd of March and was really passionate and enthusiastic in his delivery. In total there were about 15 participants in the workshop and before starting we were told very little about it, only that by the end we were all going to be able to rap. 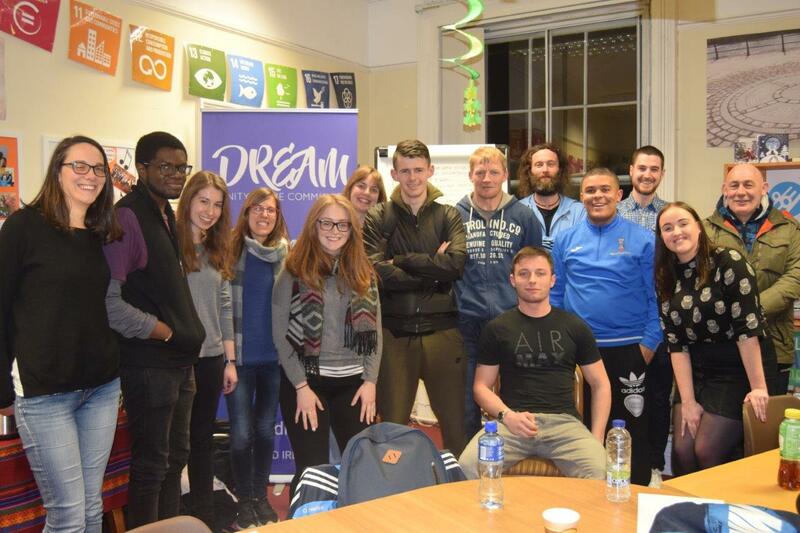 By 8.00pm that evening every person in the workshop had contributed some small part to our Martin Luther King rap, and it was almost as if you could see the creativity just flow in the room. It was fantastic to be in a space and be inspired and motivated to write creatively by someone as talented as John, his approach although passionate and motivating was also laid back with regards to structure which allowed for people to ask questions which they may have had without feeling like they were interrupting. Some of the material that was written in the workshop was outstanding and although rap may not be everybody’s cup of tea I would definitely recommend to anyone who says that they can’t rap to take a workshop with John Cummins, it was a pleasure and so much fun and I think I pretty much laughed the whole way through the workshop! I hope you guys find the inspiration and motivation to write your speeches I look forward to reading them!